Hi, there! I started this blog as an academic requirement back in 2012, and I continued so I can document my style throughout the years. 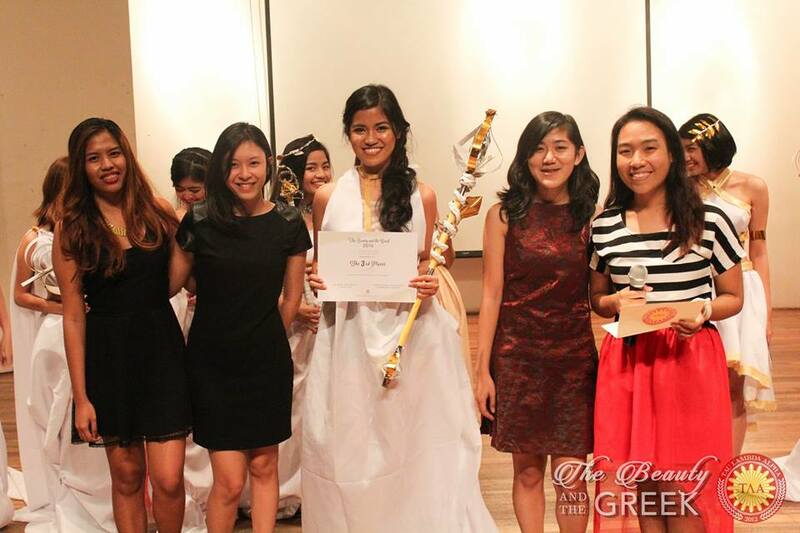 2015 was the year I really exerted time and effort in this blog, and last February, UP Tau Lambda Alpha Sorority invited me to be one of the judges to a competition called The Beauty and The Greek. 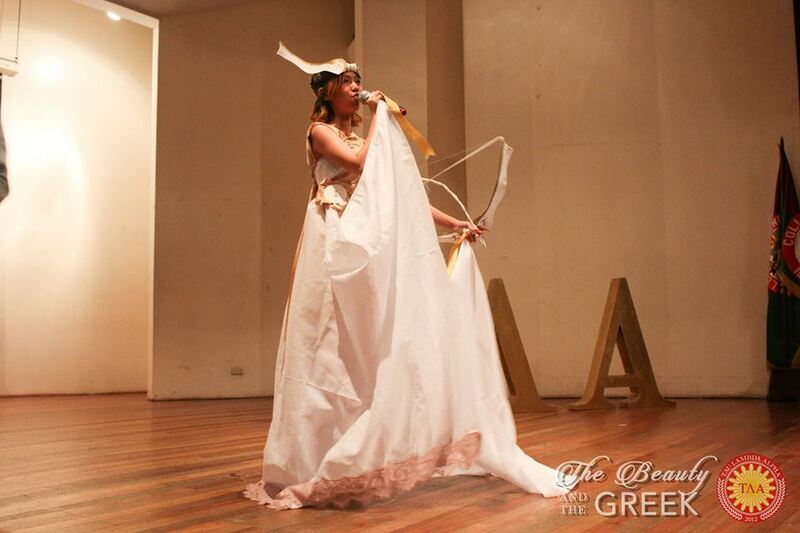 It is a costume making competition (during the Engineering Week) where participating organizations compete to make the most creative and elegant Greek costume with the limited time and materials given. A model from each organization will then present the costumes in a runway show. There was also a question and answer portion regarding social and women issues. I especially liked that they questioned the true merit of beauty pageants, for they breed the inadequacy that young women may feel, and it creates this perfect image that girls should achieve--even if they are all partaking in one. I felt under qualified because a judge goes to Masters School for Models, and the other one is the former president of the Association for Clothing Technology Students in UP Diliman. Who am I but a small town girl trying to blog, right? Me? You're kidding. But Joyce, the project head, believed in me. And not just her, but all my friends and family that supported my blogging. I won't be where I am right now, without these people, with their unwavering support and unconditional trust. Shout out to all of you! And so, I confirmed my attendance and I had a fantastic time with the beautiful women of TLA and the ever competitive crowd of College of Engineering. They're the most competitive and wildest ones in UP, I tell you! All of the costumes show real talent and true craftsmanship. 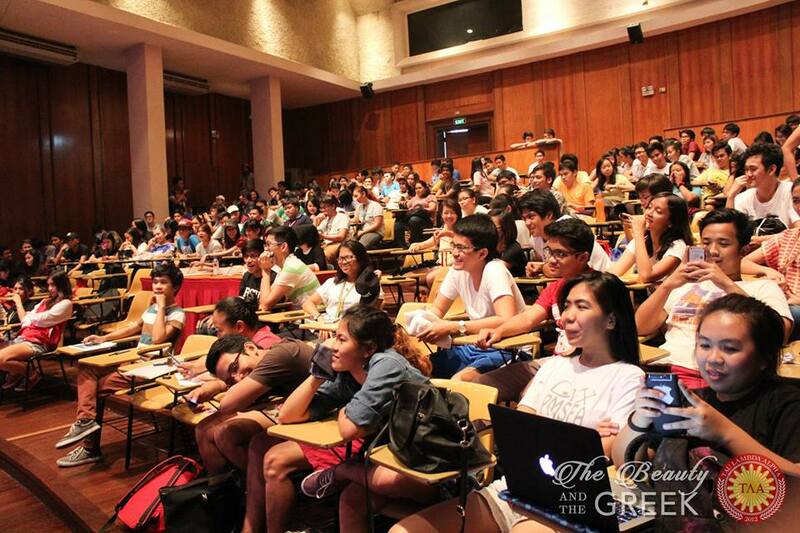 Watermarked photos are from UP Tau Lambda Alpha Sorority's Facebook page. Congratulations to UP Industrial Engineering Club, UP Circuit and UP Chemical Engineering Society Inc. And thank you to TLA for giving me this opportunity! Have you ever been a judge to an event like this? What did you feel? Feel free to comment below! Congrats for participating in such a cool event, Seyra! I am sure you had a lot of fun:) Personally, I never had an experience of being a judge, but I would definitely try it one day, just to see how well I will handle it, lol. Anyway, thank you so much for sharing and have an amazing day! Thanks, Yulia. An incredible experience indeed! Looks like such a fun time! Great blog post darling. I will love that, Giulia! I think I regret not participating in more when I was in collage, this looked like so much fun, but more importantly the community that is there to support each other. 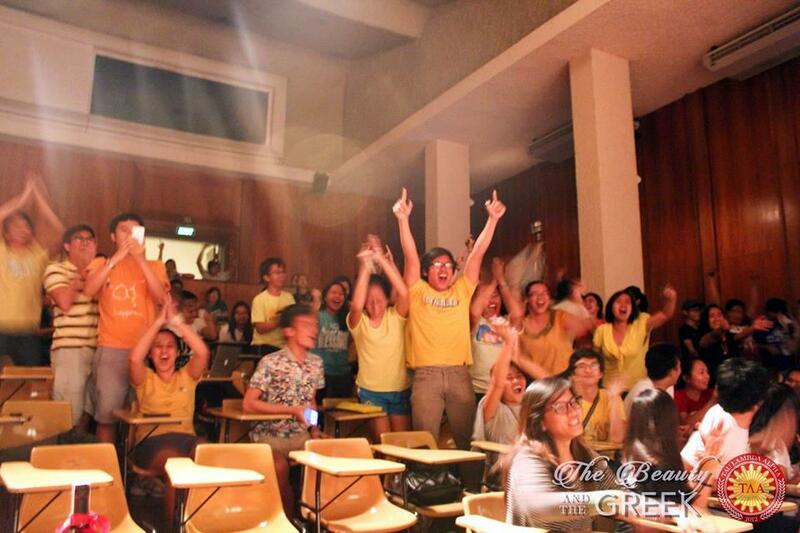 They were very supportive, Serein! It's so cool that they invited you to be a judge! Looks very cool!